Earlier this week, Apple had the entire world waiting on this big announcement and nobody knew what was going to happen. There was even speculation of new piece of hardware like a newer version of the iPod or iPhone. However, none of this was the case. Instead we found out that they added the Beatles to iTunes. Now, I know I asked myself this, and you may have too. Why should I care? Now all being said and done, the Beatles were and, let’s be honest, are a great band. But are they really worth an Apple release date? I don’t know. But I do know that the Beatles were a revolutionary symbol to their generation, and everyone living at that time. 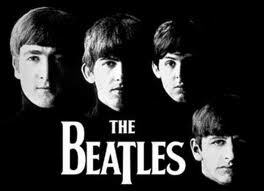 If you think about the 1960’s or even early rock, everyone thinks about the Beatles. They have joined the ranks of Mozart and Beethoven when someone talks about music. Now you are asking yourself, well why does Apple care? There is a simple answer to that. Apple is to the electronics as the Beatles are to music. Apple is a major symbol of the electronic age, and I am almost willing to assume that in 50 years, people will still remember Apple, even if they go out of business long before then. So maybe I am reading too much into this. It can happen. But I don’t think Steve Jobs would have a “special announcement” just for the Beatles, if somewhere in his mind he didn’t think the very same thing. Also, as if that wasn’t enough, if you go to the AppleApple website at apple.com, and click on the links about the Beatles’ announcement, they give around a five page full biography on the life of the Beatles. By bringing in the example of the Beatles, Steve Jobs just showed us how he wants Apple to be in the future.